CM2BET is an authorized ALLBET Betting Agent in Singapore and helps in international booking and online live betting for sports and game events, including special world events. 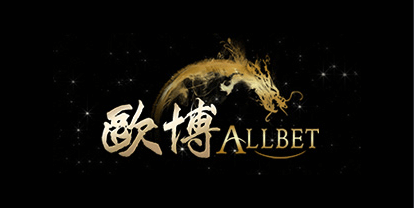 Allbet Gaming is Asia’s most innovative gambling and entertainment corporation.Allbet prides itself on having the best team to create products and services. They benefit from more than 10 years experience expertise in the gambling & gaming industry and are driven by our passion to provide the best gaming experience for their clients. They have been developed the very best Baccarat gaming platform far exceeding any competitor. The outstanding function and designs of the platform have all been developed with the client’s satisfaction in mind. These include the pioneering multi play function where you can monitor up to 12 score cards and have a choice of displaying 4,8,16 or 32 tables on the screen, distribution of 6 cards first, exclusive use of VIP table, Squeeze cards in Baccarat and many more features. These factors have led Allbet Gaming to emerge as one of the best in this industry. WE WIL GET BACK YOU SOON AS POSSIBLE. CM2BET is an Authorized Betting Agent in Singapore, collaborating with international bookmaker company & online casino like; CMD368 MAXBET SBOBET 855CASINO & many more, which specialise in international booking and online live betting for sports and game events, including special world events, and different kinds of upscale online casino games. Copyright @ 2019. CM2bet. All Rights Reserved .